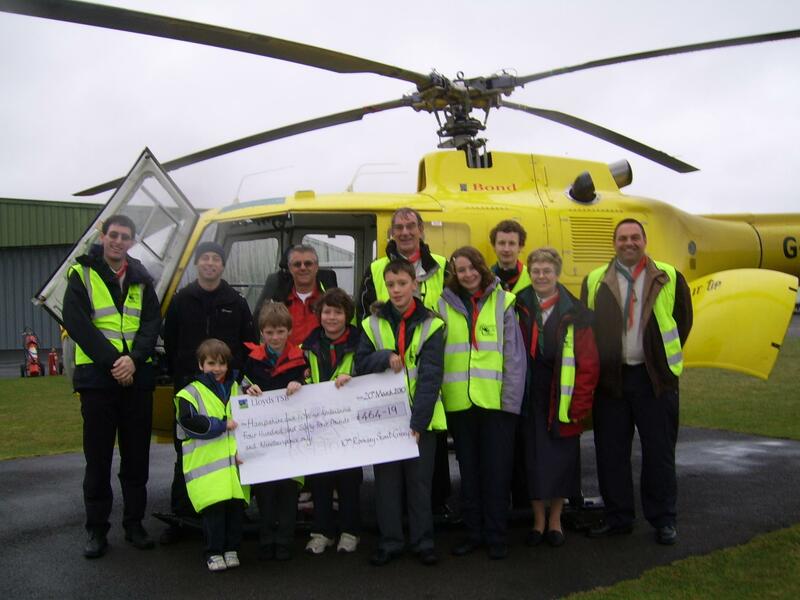 Whilst on a Group Camp in May 2009, celebrating 50 years in its current form, the 10th Romsey Scout Group had need of the Hampshire and Isle Of Wight Air Ambulance. Camping at an activity centre in Linkenholt, almost in the middle of nowhere, meant that the long narrow and windy roads were unsuitable for an ambulance to negotiate. When the emergency call was made it was passed through to the Air Ambulance, which was then on scene in less than 10 minutes. The casualty, one of our Cubs, had a deep cut to the knee and was treated on the ground by paramedics before being air lifted to St Johns School in Winchester, where he was transferred to a conventional ambulance which then completed the trip to Winchester hospital. As a result of using this essential service, 10th Romsey held a fun day fund-raiser as a way of saying thank you and collected £464.19. The Scout Group was invited to visit Thruxton, the home of the HIOWAA in order to present the cheque and to have a look around. 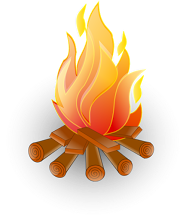 On 20th March ten representatives from 10th Romsey Scout Group comprising two Beavers, two Cubs, two Scouts and four Leaders made their way to Thruxton. The weather was a little unkind with rain and a cold wind but the group were shown around the helicopter and were even allowed to have a sit inside. Next it was a look at the hangar and the offices that made up the operational base. It was staggering to hear that £92,000 is needed every month to keep the service going, that’s £5 per minute, so every little helps.